Living outside the U.S. we get accustomed to that inconvenient truism that you can’t always get what you want. Every trip to the grocery store demonstrates this. You may want canned pumpkin, molasses, and apple cider now that it is autumn, but it’s not likely you will find them in your particular corner of the world. Am I right? Last week I was in an afternoon slump, and for some reason I had a hankering for something sweet that wasn’t chocolate. I know, weird, huh? Starbursts or Laffy Taffy or Skittles would be just the thing, as I told my husband. Too bad those are not available here. Would you believe that just two days later, my dh* returned from a trip to Sam’s Club in the city with all of the above? It was so unexpected! 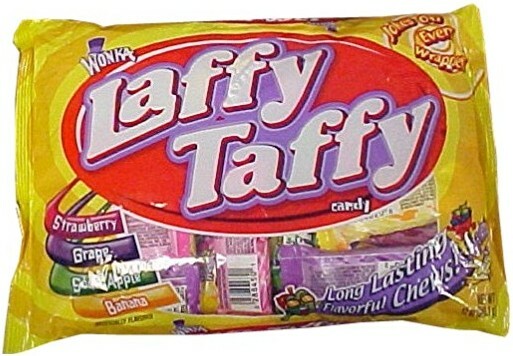 In twenty-six years, I have never seen a miraculous appearance of Laffy Taffy outside the U.S., but there they were. Do you think God might surprise us like this just so we will praise and glorify Him? I wonder. Of course I wouldn't think to pray for something so frivolous as fruity chewy candy, but God knew of my desire and blessed me without my having to ask. I love that. It doesn't always work that way, though, does it? One of the lesser dangers in living so far away from family and friends back home is that we become too self-sufficient. God could easily choose to meet our needs and desires (care packages, anyone?) through the body of Christ, but we are too proud to ask. It goes back to the old support-raising dilemma. Do we tell people of our need, or do we make our needs only known to God? That’s a whole ‘nuther topic, but I wonder if it doesn’t hold the key to our reluctance to ask for things. If you’re like me, you’d rather be surprised by God’s blessings than to expect them. Last month I agonized for days over a box of prayer cards that were stored in my dmil’s attic in Ohio. I needed someone to go over, visit with my dmil* a while, and then climb to the attic to find the box to deliver to a local church. I’ve always wanted someone to go visit my elderly mother-in-law, but this was now escalated to a need with the added errand. Oh how I fretted over this before deciding to ask a very sweet but busy friend if she would mind doing this for me. She was more than happy to do it. She loved meeting my dmil, who is a fun but lonely person. It worked out nicely all around after I finally asked. People are not mind readers. You can quote me on this. They aren’t always good at taking hints either. Sometimes we have to come right out and ask for favors. Then again, God knows our heart and mind and motives. That can be comforting thought – or not, depending on what kind of day I am having. 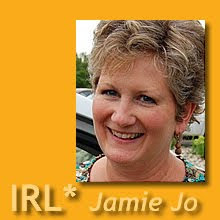 IRL* If only I could recall who all has told me, “Let me know if there is ever anything you need….” I'd send someone else over to love on Jim's mother. It reminds me of last Mother's day. My mother-in-love past away the summer before, and I was really missing my mom. I did not have the $50-100 to order online from the florist. I was asking God for an idea of what to do. A friend came to mind. So I asked him if he would be willing to act on my behalf. He purchased the flowers and then visited with my parents. It was a blessing for all of us. His mom had passed away two years before. It was hard to ask, feeling like I was imposing on his day. And I love the idea of asking a friend to take flowers to my mother-in-law. That gives a purpose to the visit. This whole aging parent issue is a big topic. How to be a good daughter and good ddil from afar. Sorry to hear you have lost your mother-in-law. Doubly funny that we have been studying the Huns for grade 8 Socials!